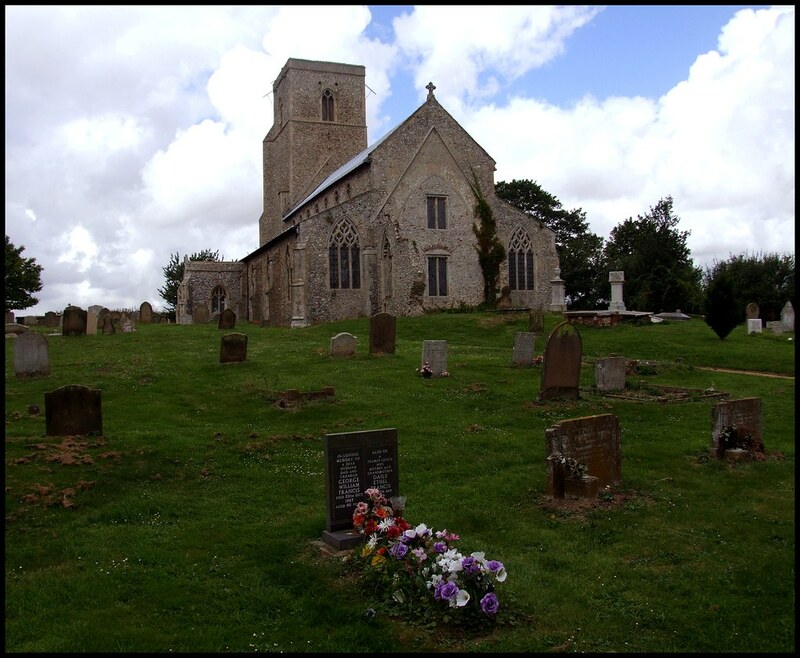 And so, at last, the Norfolk Churches Site comes to Walsingham. 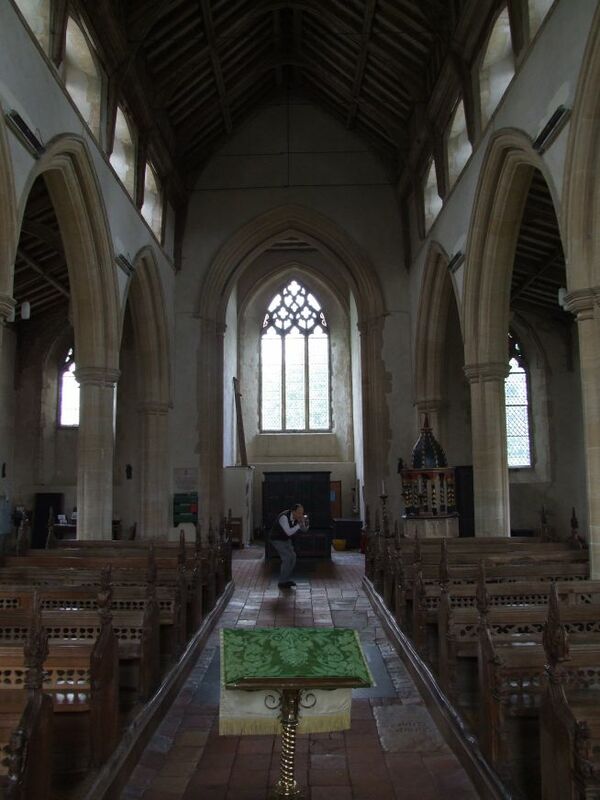 In fact, I already knew these churches better than any in England outside of my own parish, and it has been a sweet delight to save them until near the end. I have been coming here several times a year for nearly twenty years, although it must be said that this is usually just to Little Walsingham. Great Walsingham, despite its name, is much smaller than Little Walsingham, to which it is semi-detached, and separated by the River Stiffkey. Even then, the church is easily missed, set down a narrow lane on a hilltop. 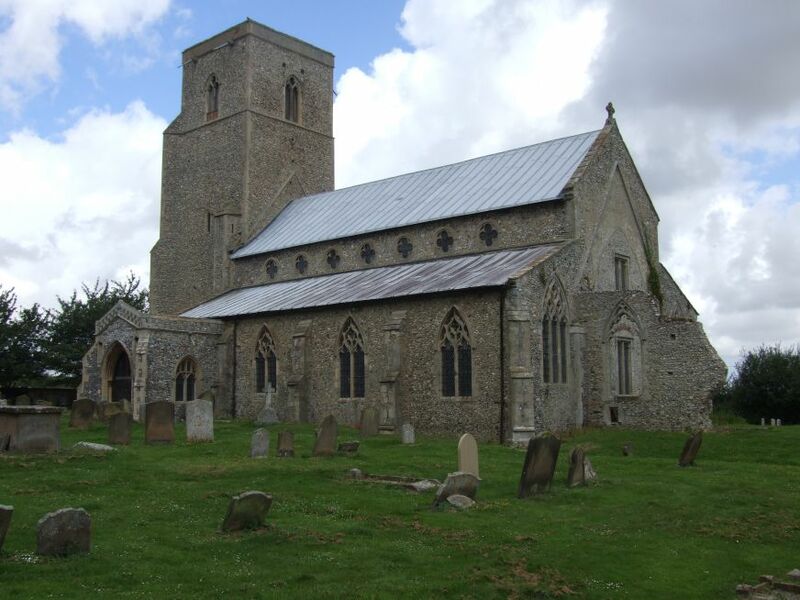 There are about twenty churches in the immediate environs of Little Walsingham, and we will visit all of them. 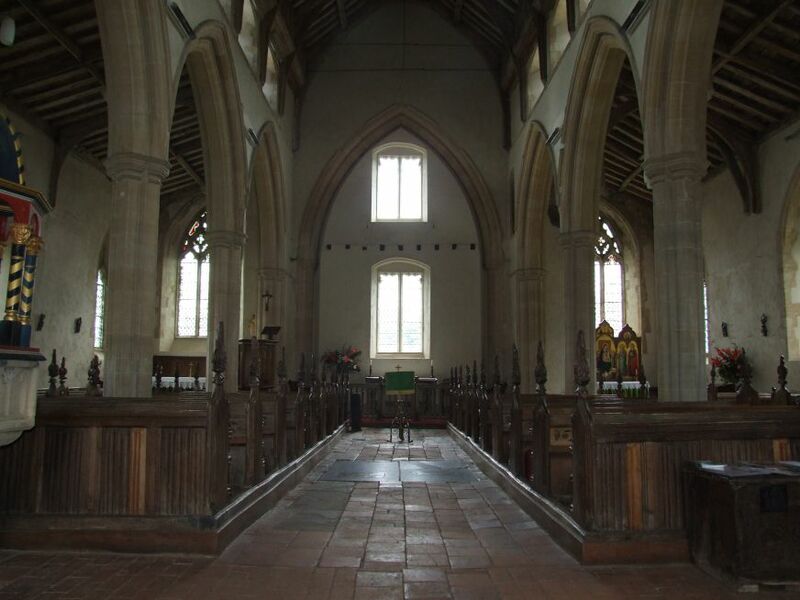 But St Peter at Great Walsingham is by far the most historically interesting building of all. The first thought on visiting St Peter is quite how odd the building looks. 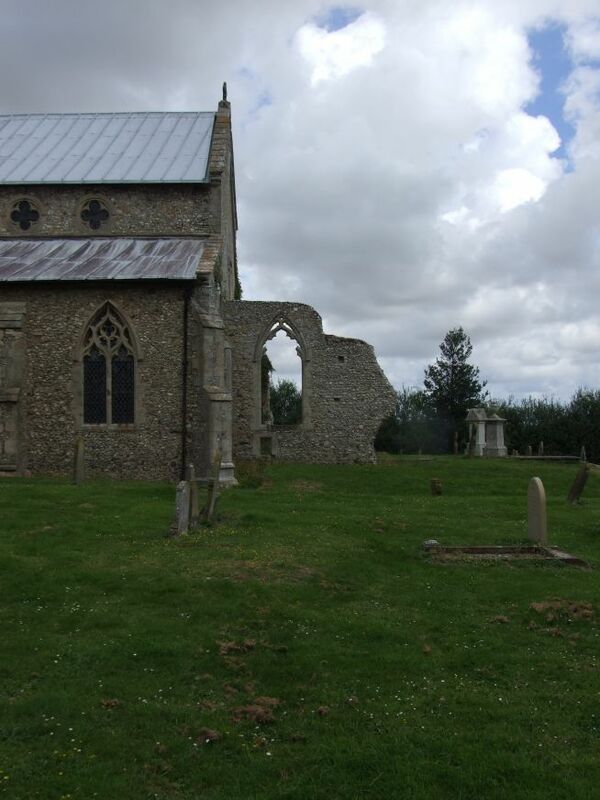 The chancel has been ruined, as is the case with about a dozen Norfolk churches, and the chancel arch filled in to make a new east wall. The massive aisles seem to hug the building to the ground, making of it a great sprawling beast. And yet it is a beautiful one. As Pevsner observes, it is the surviving elements of the Decorated period here that ameliorate the Perpendicular austerity. This is a beast which has been battered by time. It had been some ten years since I had last been inside St Peter, but I remembered it well. This is one of the loveliest interiors in East Anglia, a great square space retaining most of its medieval furnishings, a space of light air, and white walls, and ancient wood. As if to set all of this in contrast, the south aisle has at its east end a gilt reredos in an Italian style, depicting the evangelists St Matthew and St Luke with St John the Baptist and St Mary of Magdala flanking the Blessed Virgin and Child. Matthew and Luke, you will remember, are the Evangelists who recorded the Nativity. This, and the ornate 17th century font cover, are the only vivid notes in this haunting space. I stood at the west end, gazing at the ranks of 15th century benches with ornate tracery cut in the back. 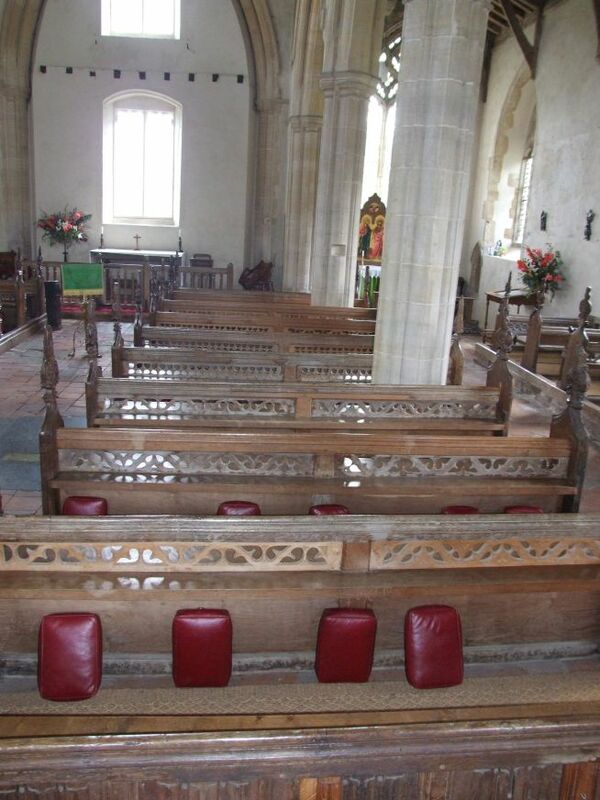 There are a few surviving late medieval bench ends, mainly of Apostles. Andrew, Simon, John, James the Less and Bartholomew are all easily identified. Another figure wears a 15th century hat - could it be a donor? There is no modern glass, but high in the tracery of the north aisle there are some exquisite 15th century survivals, fragments from two separate Coronation of the Blessed Virgin scenes. Swirling around them are demons with big noses. Also in this aisle is an aumbry with its original door still in place, an extraordinary survival. 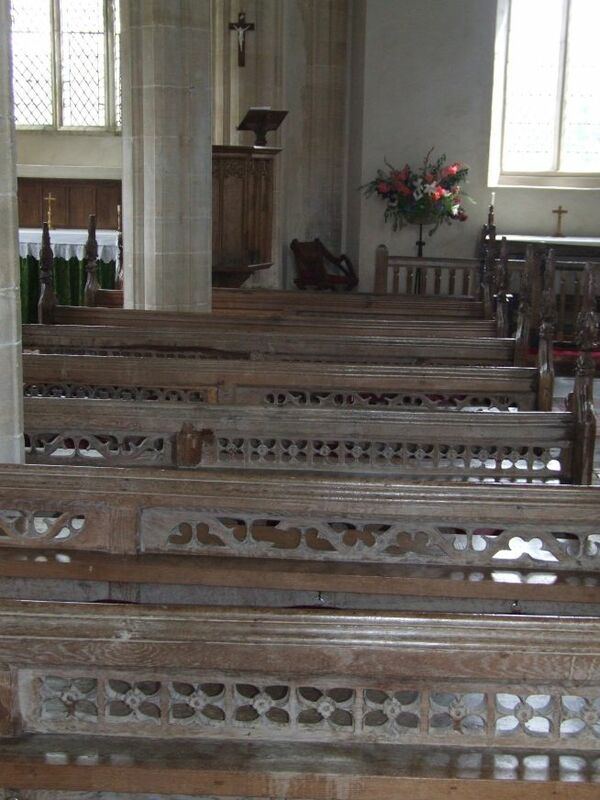 The pulpit is dated 1613, but it appears to be made out of panels from a rood screen or rood loft. Perhaps 1613 was the year that they were put together? A simple inscription in late 16th century-style lettering, the name Henry Gray, reminded me that the de Grey family still hold the Lordship of Walsingham. Even more poignant are two brasses. One is to Jane Golding, who died in 1632, and was sober, meeke, patient, modest, constant harted. The other is to Elizabeth Alee, who died in 1641. The inscription reminds us that Heaven hath her soule, This Earth her earth, her Lover her Husbande keeps: the ods txixt Him and Her is Breth, which gone all Flesh thus sleeps. Light from the high, clear windows falls silently across their memories.